The free-to-play game will offer a mix of the fighting and card collecting genres. Warner Bros. Interactive Entertainment (WBIE) has announced Mortal Kombat X for mobile devices. Developed by NetherRealm Studios, the game will be a standalone title, with an element of connectivity to the PC and console versions of Mortal Kombat X, which releases on April 14. The mobile game will be a free-to-play hybrid between fighting and card collecting games, which is similar to other mobile NetherRealm titles, including WWE Immortals. While the specifics are light, we know Mortal Kombat X on mobile will feature multiplayer team combat, will feature franchise stars like Scorpion, Sub-Zero and Raiden (as well as what’s being called the “Next generation of Kombatants”), and will make use of the franchise’s Fatalities functionality. NetherRealm Studios has created a Mortal Kombat X mobile experience that allows more players than ever before to play this over-the-top fighting game through their ever-present smartphones, tablets or other devices. What’s more, we’ve expanded the unique cross-connectivity feature that links the mobile and console versions of Mortal Kombat X, delivering unique rewards to all players for simply playing the mobile game. Gamers who also purchase the console or PC version of Mortal Kombat X will be able to sync their WB Play accounts across the standard and mobile versions of the game, unlocking new content in each by completing tasks and achievements in each version of the game. 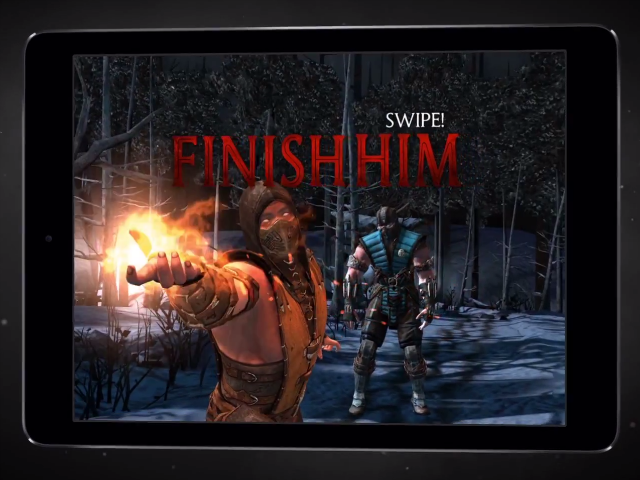 Mortal Kombat X will launch on iOS and Android devices this April. Check back soon for more.